This article will instruct you on how to download, log in, and configure VirtualShield on your Android phone or tablet. Note: Compatible with Android version 4.2.1 and above. If your system is not supported, you can install one of our browser extensions instead. Note: If your device lacks access to the Google Play Store, please see our support article. Tap the Install button to begin the installation process. Once the install is complete, the Install button will say Open. Tap Open to launch the application. 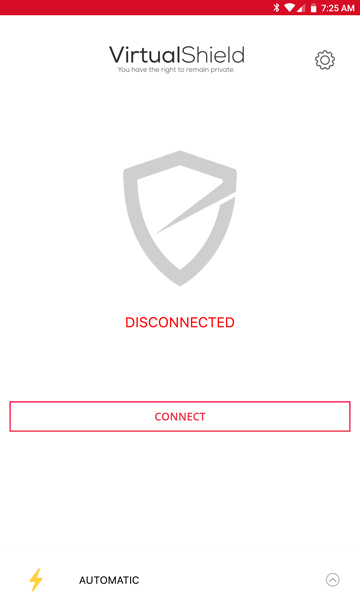 Tap the Connect button to encrypt your device's internet connection.